Several launch sites in the Las Vegas area . Vegas Hot Air Sin City Balloon Rides will let you know the meeting location when you check in the night before. 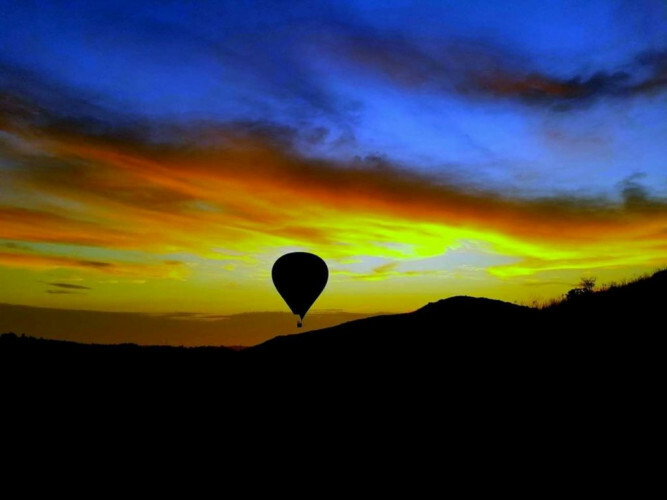 For over twenty years, Vegas Hot Air Sin City Balloon Rides has been taking its clients high to the skies. With their hot-air balloon flights, FFA-certified pilots let participants take in spectacular sunrise or sunset vistas of the Las Vegas Valley, including views of Red Rock Canyon, the Vegas Strip, and Mt. Potosi, along with some potential wildlife in the deserts surrounding Las Vegas. Whether it's a wedding, anniversary, prom, or corporate event, these flights are bound to make any occasion magical and breathtaking.